With such a cute name such as Me Love Sushi, it is difficult not to fall in love with this restaurant. Me Love Sushi has quite a nice varied menu. 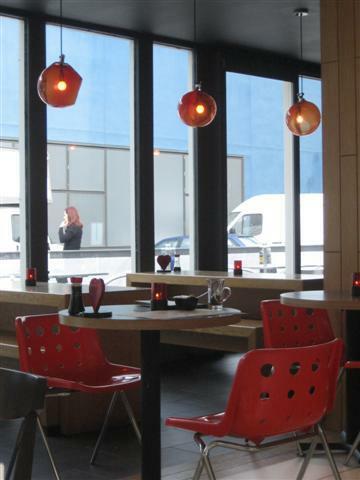 It has lots of sushi items but also has hot dishes such as tempura, noodles and rice. For the starters, we chose a couple of items from the Love to Tease section of the menu. 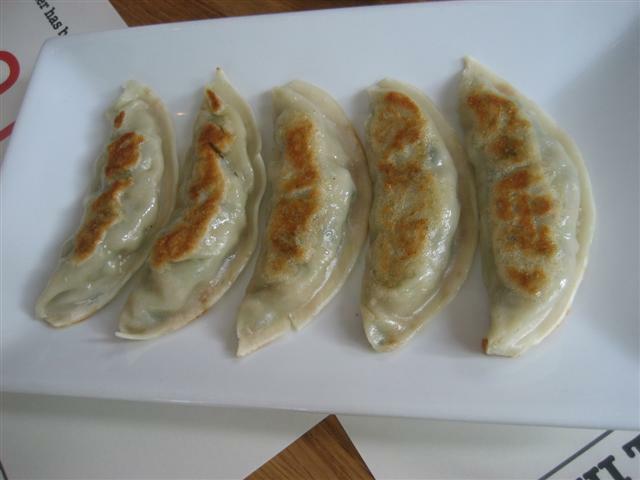 The vegetable gyoza were the tastiest dumplings that I have had. They had a good flavour to them and the portion size was just right. The pumpkin korokke were pumpkin croquettes. Even though they had been fried, they were not greasy at all. The pumpkin cooked in this way worked really well. 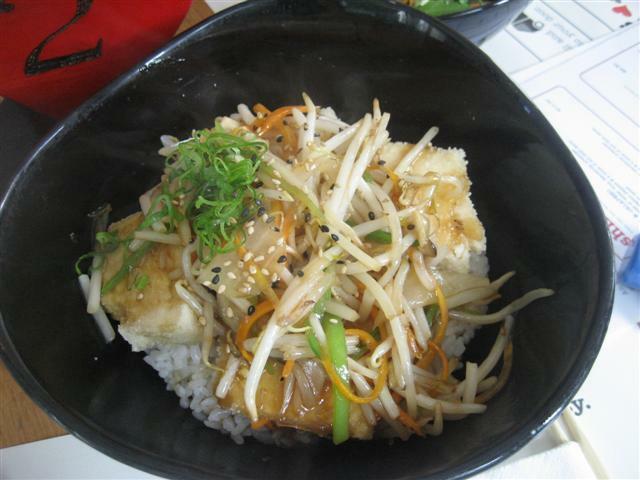 The tofu and vegetables donburi made a filling meal. This was a big bowl of Japanese rice topped with shredded vegetables with a teriyaki sauce. The sauce did not overpower the vegetables. There were big cubes of breaded tofu and it was nice that the tofu had been cooked so that it was still soft and not chewy. 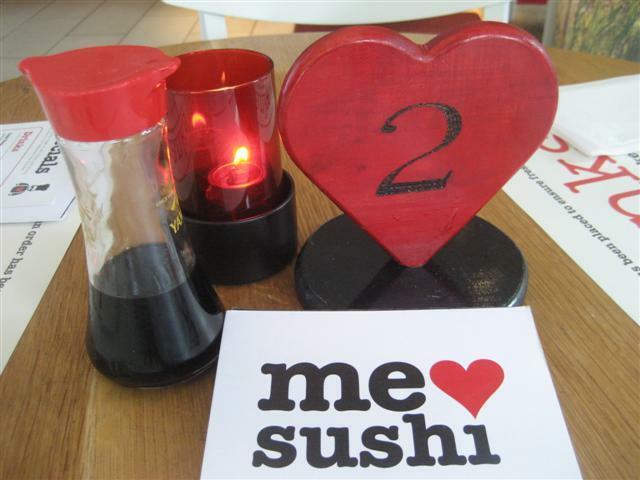 Me Love Sushi has a range of seating including big wooden tables with bench like seating and also smaller individual tables with red or brown chairs. I liked the love heart theme running through the restaurant, such as the wooden heart table numbers. The staff were really friendly and gave service with a smile. They knew the items on the menu well and could answer all our questions that we had about the dishes as well as giving good recommendations. 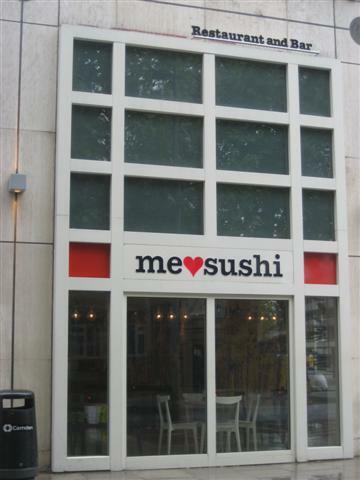 Me Love Sushi has the restaurant on the ground level and on the upper level is the bar. It has a range of drinks including a good range of hot and iced teas. 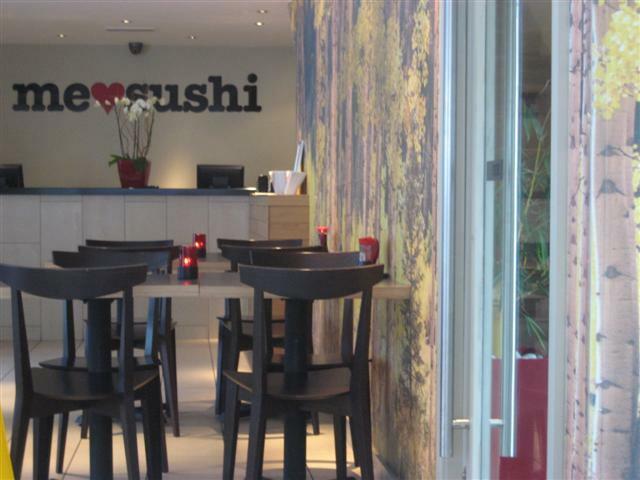 Me Love Sushi is such a lovely restaurant with a relaxed and comfortable atmosphere.